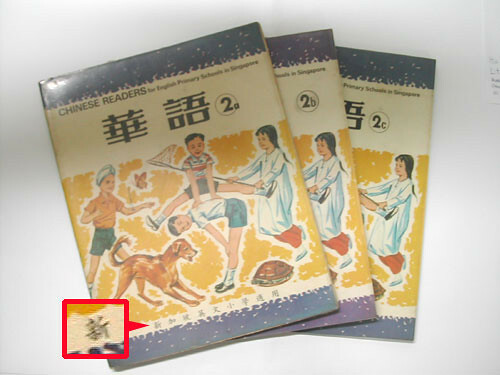 How many of you still keep your Chinese or Mother Tongue textbook of more than 35 years ago? I still have mine and it’s still in rather good condition – no “dog-ear”! 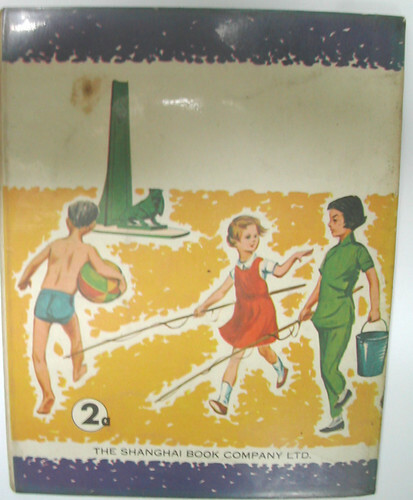 This is the front cover of the 3 textbooks (A,B and C). 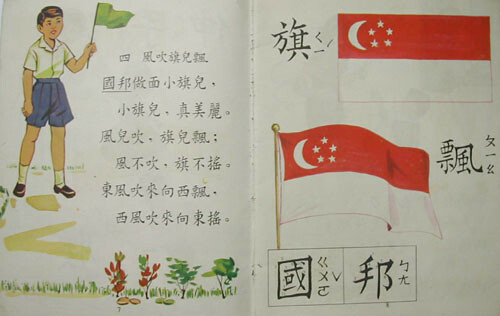 Note that the first Chinese character (Red box) of the word Singapore then – there were 2 ways of writing it! One was written as “New” and the other was “Star”. Now we use the character “New”. Well, quite a lot of Chapters to cover as there were 3 books altogether. Maybe we should take a look at one of the chapters inside as well. See if it’s more difficult than now? Not too simple right? 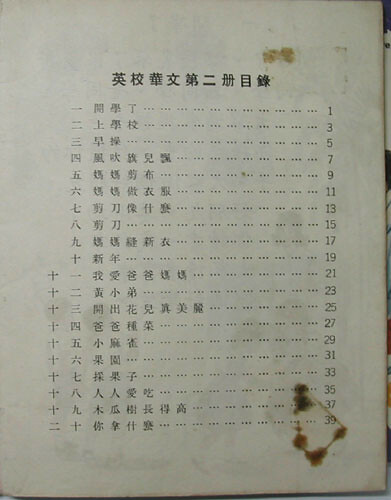 Also they were not in Simplified Chinese character then. 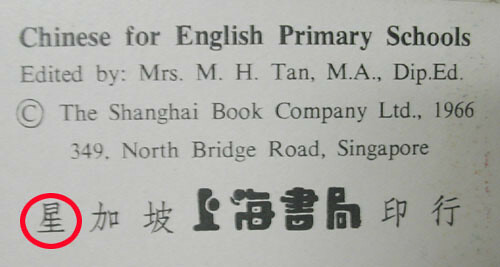 Note also that Hanyu Pinyin was not used at that time yet. Recognise that Lion structure? Haha, by now most of us will know….